Aquatic invasive species are one of the most serious challenges facing Lake Tahoe. They continuously threaten to damage its unique environment and famed water clarity and degrade the world-class recreational experiences residents and millions of visitors enjoy each year. 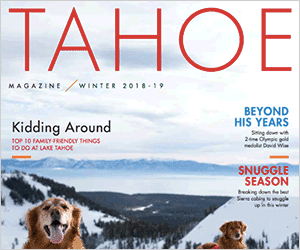 Fortunately, Tahoe is a national leader in fighting AIS, with the Tahoe Regional Planning Agency and 40 public and private partners working to prevent, detect, and remove harmful infestations. That partnership was showcased this month when the Western Regional Panel on Aquatic Nuisance Species held its yearly conference at Tahoe. The conference brought together nearly 100 experts from public and private agencies and academic institutions who are dedicated to fighting AIS in the Western United States. The gathering helped those visiting experts learn more about our invasive species successes and challenges at Tahoe, informed us about what programs are working in other areas, and allowed us all to build relationships so we can better work together on a broader scale. Fighting AIS at Tahoe is making a difference and our collaborative AIS program is often touted as a national model. TRPA recently joined the Western Regional Panel on Aquatic Nuisance Species and has been invited to join the Aquatic Nuisance Species Task Force, a federal advisory group that helps guide national AIS policies. Tahoe’s boat inspection program has successfully prevented the introduction of any new invasive species since its creation in 2008, overseeing the safe launch of nearly 200,000 boats. This program helps ensure contaminated boats are kept out of Tahoe, and the importance of frontline prevention cannot be overstated. One contaminated boat carrying an aquatic hitchhiker could set in motion dire consequences for our environment. The boat inspection program is now sustainably funded through a mix of boater fees and public state funding because California and Nevada see its value in protecting our shared resource from aquatic invaders. With the inspection program in place stopping the introduction of new AIS, Tahoe agencies are turning attention to finding funding for added control projects to combat AIS already in the Lake before they spread and do any more harm. Two new initiatives will help us meet Tahoe’s AIS challenge. This important plan provides a science-based roadmap for TRPA and its partner agencies to fight the invasive species that found their way into Lake Tahoe before our boat inspection program was created. It identifies the species we have the best chance to control or possibly eradicate and where we should pursue projects over the next three to five years for the greatest possible effect. It will be updated as progress is made and new, more effective treatment methods are discovered. The plan points to the control of aquatic invasive weeds Eurasian watermilfoil and curlyleaf pondweed as well as the warm water fish that follow their spread as the highest priority actions. These are harmful species we can efficiently control or eradicate with the right projects in the right places. The plan proposes additional research to discover more effective methods to control other invasive species such as Asian clams, signal crayfish, and bullfrogs, and recommends agencies continue to fight the spread of those invaders in iconic locations such as Emerald Bay. In another milestone step, the Tahoe Keys Property Owners Association is creating an Integrated Weed Management Plan to address its invasive weed problem, long considered ground-zero for AIS problems in Tahoe. While still in draft stages, the plan seeks a comprehensive approach to get the extensive weed infestation in the Keys under control and keep it from spreading to other parts of Lake Tahoe. The approach combines different techniques and could include hand removals, bottom barriers, and potentially even the limited use of herbicide in select areas if found to be environmentally safe and approved by permitting agencies. While the final plan to address invasive species in the Keys remains to be seen and fully considered, we applaud these property owners for starting this critically important process to address the issue. Doing nothing is not an option. The negative impact invasive species can have at Tahoe is clear, and history shows we can tackle the problem working together. In 2010, several acres of Emerald Bay’s sandy beaches and clear waters were choked with a spreading infestation of Eurasian watermilfoil that fundamentally altered its habitat and made the heavily visited area increasingly unappealing to boaters and swimmers. Working together, we got rid of that infestation and the area remains weed free today. We can achieve that same level of success in other areas by fully confronting our AIS challenge at Tahoe and by working together to meet the challenge for the continued health and enjoyment of our Lake for generations to come. 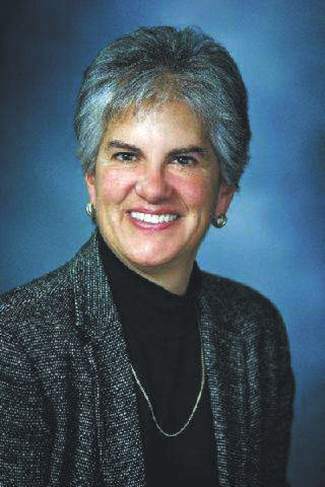 Joanne S. Marchetta is Executive Director of the Tahoe Regional Planning Agency. Email her at jmarchetta@trpa.org.